NEW for Spring! 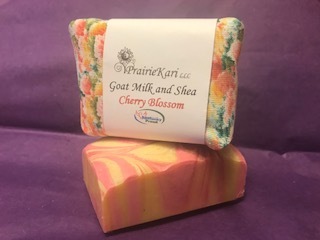 My daughter in law's favorite scent is now available in Prairie Kari Soap. Scented with the springtime goodness of Japanese cherry blossoms, this soap is sure to be a favorite. Ingredients: Pomace olive oil, goat milk, shea butter, coconut oil, food grade lye, fragrance oil and mica for color.